In less than 72 hours, our country’s source of solar energy will be completely gone for a total of 2 mins and 40 seconds. Let the blackout hysteria begin! Just kidding! Most likely, you won’t even notice how this natural phenomenon has affected your power source. Still, it’s good to be aware of what’s going on. To break it down simply: during the eclipse, the moon will completely block the sun, the day will turn to twilight, stars and planets will appear for a brief moment and then the day will go back to normal. Depending on where you are in the country, the eclipse will happen at different times and you may not get the full experience. Still, a disappearing sun means an inconsistent source for solar power, so energy plants are ramping up in preparation for the big day. Major solar plants in both California and Pennsylvania have taken precautionary measures to guarantee that there is limited impact on their consumers. California ISO spokesman, Steven Greenlee, anticipates that the state will lose almost 4,200 megawatts of power. (To put that in perspective, one megawatt can typically power up to 1000 homes!) However, by ramping up other natural energy resources – such as hydroelectricity and natural gas – they have assured that in the midst of festivities, our lights will stay on! The eclipse won’t impact our power production in Illinois much this time around. However, it is expected that when the next eclipse rolls around in 2024, Chicago will be at 93.8% totality — the sun will be almost entirely blocked out. And by then, Illinois will probably be home to quite a bit more solar production: solar energy usage in our country has grown by 72% every year since 2010 and is expect to keep becoming a more popular and energy efficient alternative. But for now, sit back and enjoy the show worry free! It’s an exciting event, and weather permitting, Chicago residents will get to experience about 87% of it! And those of you downstate will have one of the best views in the country. Tip #1 – Don’t bother trying to get pictures. Totality only lasts a precious few moments, and photos never do it justice. Instead, you can set up a video stream of the crowd witnessing the eclipse. You can turn on the video camera before it happens, and then watch the sky show without fiddling with any buttons. Tip #2 – Don’t forget to take your glasses off once the sun is completely covered- BUT ONLY IF YOU ARE IN THE ZONE OF TOTALITY. 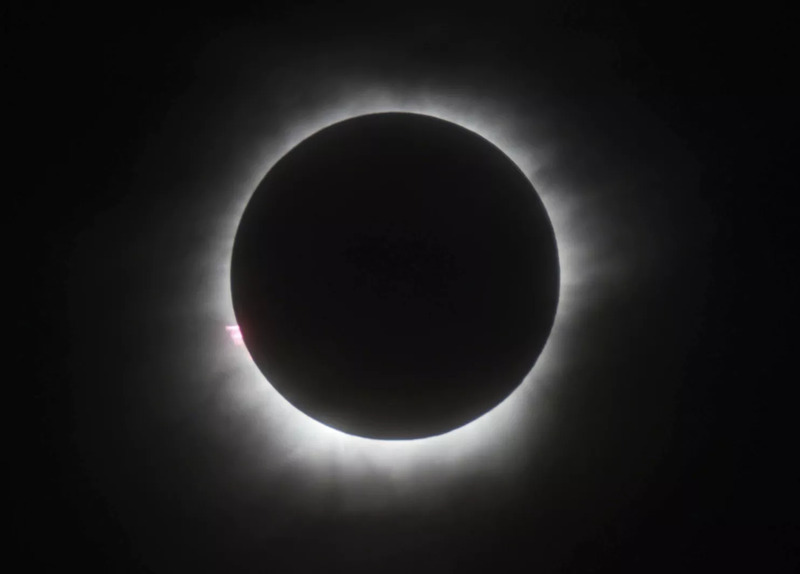 While you cannot look directly at the sun during the eclipse’s partial phases, you can enjoy those few moments of complete darkness glasses-free! Tip #3 – Find a fun way to experience this moment with others. Check out this website for events near you! Have a stellar weekend! We hope your eclipse experience is out of this world! Thought the eclipse would save you a few extra dollars on your next energy bill? Unfortunately no. However, we know a few other ways that you can save. Check them out here!